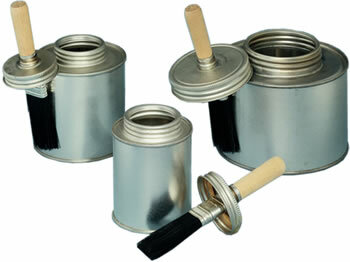 Heavy duty brush top cans are supplied with thick, flat bristle brush caps. Constructed of steel, the brush is soldered to the cap making this a heavy duty alternative to the solvent brush cap cans. Both sizes cans are unlined. Wooden handles unscrew from cap for better packing during shipping.